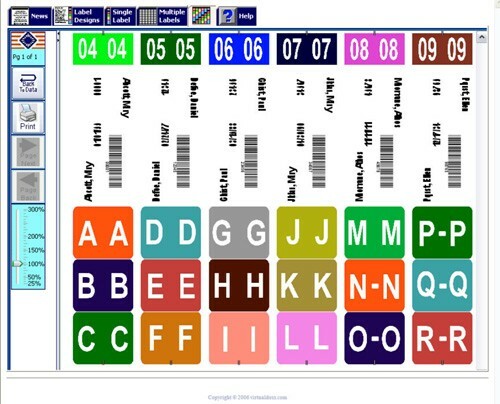 Label Printing Software creates labels in full strips. 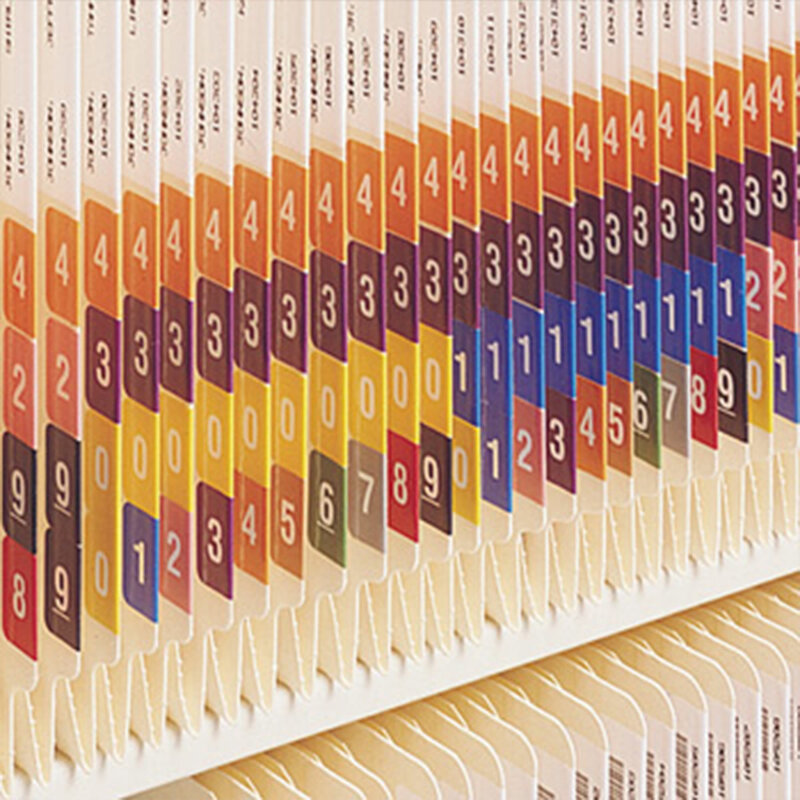 Vital Valt offers End Tab File Folder Labeling Service in your office using color code labels, bar codes, RFID and label printing software. 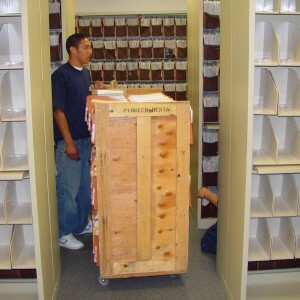 to setup, convert or add to filing systems. Vital Valt will work with you to analyze your current filing system and recommend a system based on requirements, needs and potential benefits. 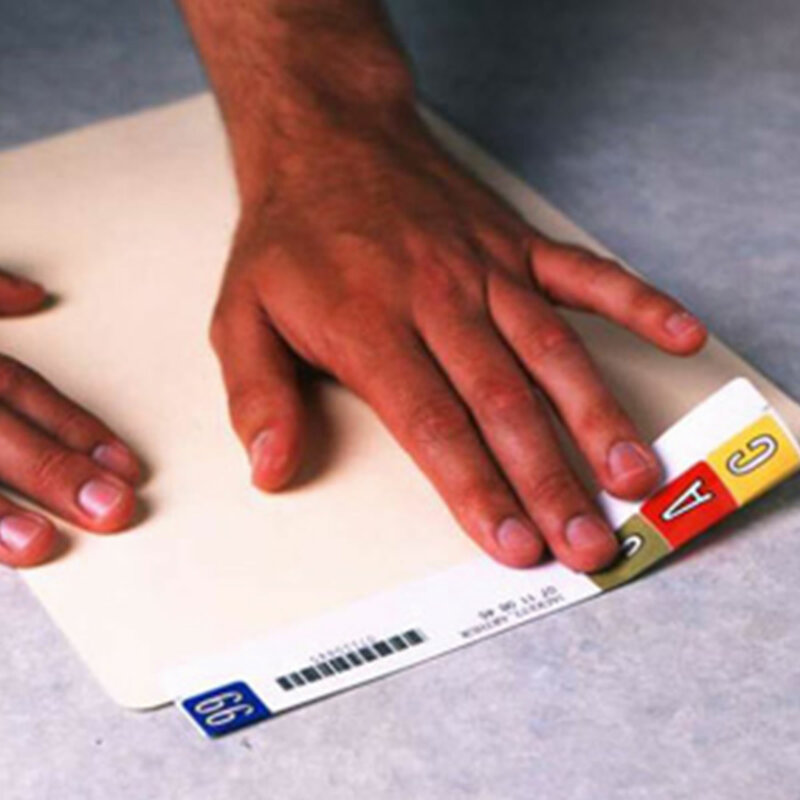 Our End Tab File Folder Labeling Service specialist can have your labels printed and applied to new folders at the factory or apply the labels off site and deliver your completed folders to you. 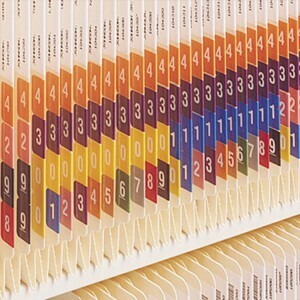 End Tab File Folder Labeling Service can be custom designed to match or enhance your existing label design. 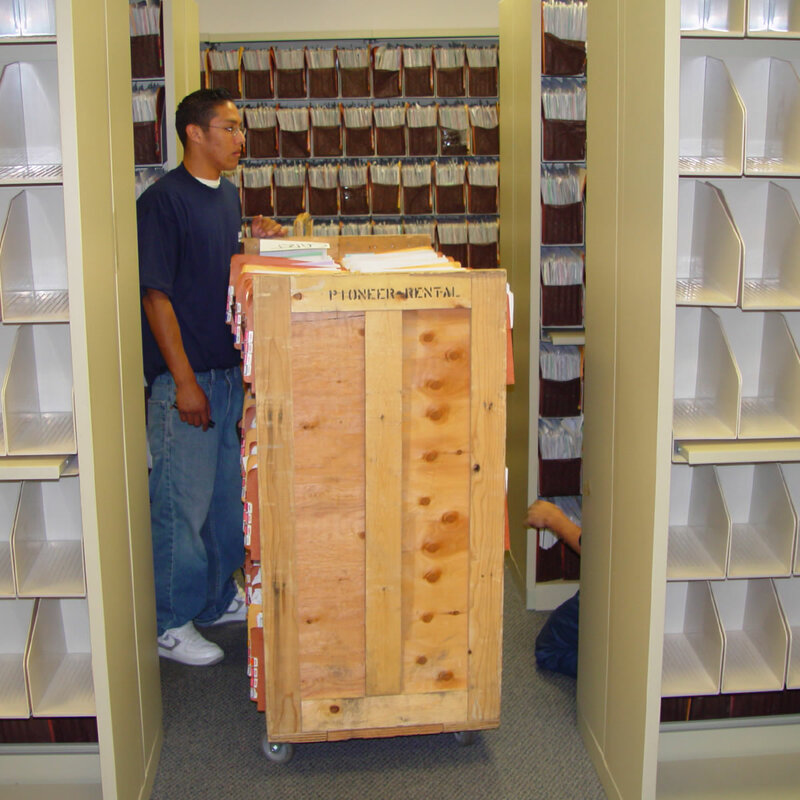 Vital Valt will work with you to design an efficient filing system to help locate files faster, reduce costly misfiles and for utilizing your filing storage system properly.